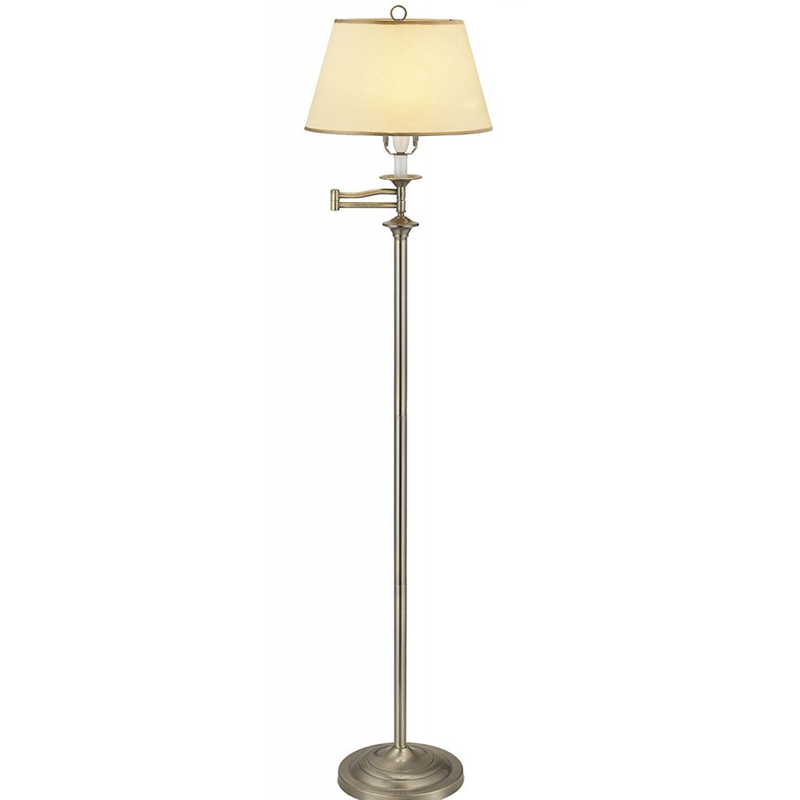 Traditionally styled antique brass swing arm floor lamp with cream parchment drum shade. The beautiful lamp features an easy to use inline on/off foot switch. The dimensions of this light are: Height - 155cm, Diameter - 36cm. Requires 1 x 60w E27/ES GLS screw in bulb (not included). LED and low energy bulbs may be used if desired. This swing floor lamp comes complete with 2 year electrical warranty.